Dr. Lichtenstein is a clinical supervisor for mind-body medicine/biofeedback shifts in Bastyr Center's Department of Naturopathic Medicine. He is a core faculty member of Bastyr University's School of Naturopathic Medicine, and he is the chair of the Department of Homeopathy. Dr. Lichtenstein also works in private practice in Seattle, and has experience as a wellness facilitator; a breath, movement, yoga and meditation personal trainer and therapist; and a personal-growth team leader. 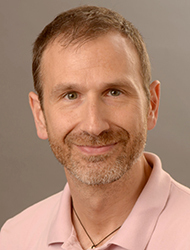 Dr. Lichtenstein is an ACE certified Personal Trainer and is YogaFit and Thai Massage certified. He has been published in Unified Energetics, STEP Perspective and Caregiver's Quarterly. Dr. Lichtenstein received a doctorate in naturopathic medicine from Bastyr University and a BA in communication disorders and psychology from the University of Pittsburgh. He is a member of the American Association of Naturopathic Physicians and the International Association of Yoga Therapists.